Lipgloss and Lollipops: I love my kids dearly but…. I dream of exotic vacations and trips to Europe that last longer than 4 days and don't involve what I thought was a Disney princess but come to find out was a fraud. I wonder what I would do with all that extra money if I didn't have to put it into 529 plan's and If I could play the stock market a little more aggressively or...buy those boots instead of just pinning them on my Pinterest page. Well, those are all just pipe dreams and things that I only have seconds to ponder over because I don't have time to actually daydream because as I write this before the bus comes, My 2 /12 year old wandered in with a life size pencil wearing her hot pink tutu and peed on my office floor. 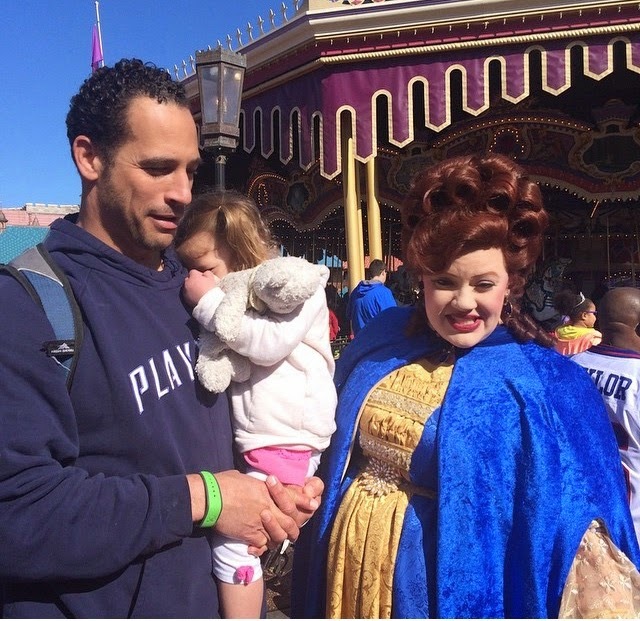 Here are just some of the things I miss most about my "kid-free" life. Eating - I cannot enjoy a meal unless I get a sitter and go out to dine. The very second I sit down, the kids either hijack my food or ask me to get them something. This is a great diet, but not when you are starving. If I initially made them what I was eating, they wouldn't eat it. It's only appealing on my plate. 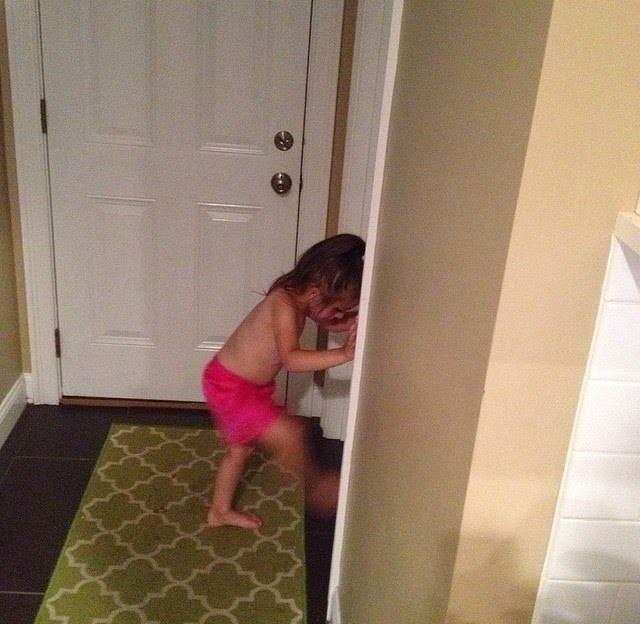 The photo below is My middle daughter Emmerson trying to kick down the door while I locked myself in the bathroom to eat my sushi. Going to the Bathroom - I don't know what it's like to go to bathroom without an audience. If I do go in there alone and lock the door, It sounds like the FBI is trying to barge down my door using strong force. I recall a time when I was at the supermarket and I was in the midst of potty training my son. We were at the deli counter with a few other people whom were listening to our conversation and I know this because I saw them smirking. I was going through the list of his friends and family that go "pee pee"and "poo poo" on the potty and he proceeded to respond with, "yeah mommy and you go blood" (TMI - I'm sorry) I had smoke under the wheels of my cart and suffice it to say we didn't get anything from the deli that week. Showers - I could easily shower for 45 minutes because I'm always cold and I used to love a nice long shower. Now, my feet hit the ground at 5am, I start the shower and one by one the kids come into the bathroom with their blankets and stuffed animals and sit outside the shower door and watch me shower (kind of like the masseuse in India). Sometimes if I am lucky, they come in and pee on me. Sleep - I used to sleep and now I don't and I don't think I ever will again. That's all. A Clutter Free Home - Haha! Despite what I have listed above I wouldn't change a thing. I could write a much longer list of all the amazing ways my kids have changed my life for the better but that would not be any fun to read now would it? 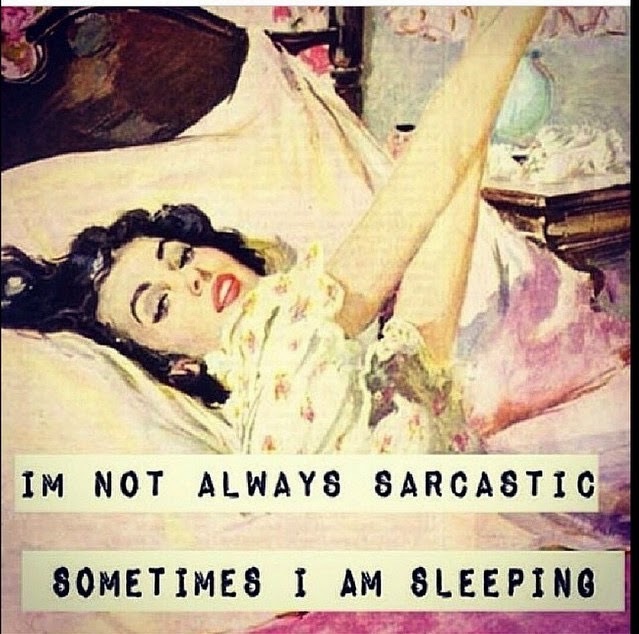 I'm probably sarcastic in my sleep too!